You’ll find our blog to be a wealth of information, covering everything from local market statistics and home values to community happenings. That’s because we care about our community and want to help you find your place in it. Please reach out if you have any questions at all. We’d love to talk with you! Countryside Homes in Port Orange, FL. Countryside is a Planned Unit Development (PUD) community complete with a Residential Homeowners Association (HOA). 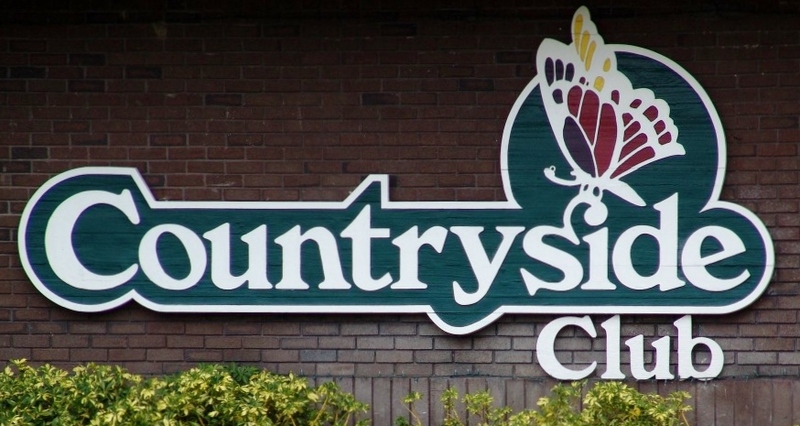 Whether you desire to raise a family, looking for a retirement home or an investment property, Countryside could very well be exactly what you are looking for. The variety of home styles and price structures var y in this wonderful community. Some of the housing options are; luxury homes, small villa type homes, townhomes with many being in gated sections of the community. Conveniently located in the heart of Port Orange, FL., Countryside is one of the largest neighborhoods in the city. With this great location, you aren’t far from the waters of the Atlantic Ocean and the local pristine beaches! Countryside is located just down the street the Port Orange’s latest shopping and dining sensational, The Pavilion. Purchasing a home in Countryside is a great investment in a great neighborhood. Considering location, amenities and the housing choices makes this a top runner on many perspective buyers list of places to tour. Some of the community amenities available to its residents; clubhouse, tennis courts and a swimming pool. The Countryside subdivisions boasts an excellent infrastructure of utilities plus considered by many to be a very peaceful place to live. Click Here To Receive A No-Cost, No Obligation Home Valuation Report On Your Home. The SRN Real Estate Pros Team is well versed in this wonderful neighborhood, all of Port Orange and the surrounding area. We are a full-service brokerage featuring fully trained and experienced brokers. Just give us a call at 386-931-4683 or contact us through our website and we will be honored to assist you in finding your perfect home. One that fits your lifestyle and budget. Our mission is to make your purchase and / or sale of your new home as stress free as humanly possible. Port Orange evolved from a sleepy little Florida town to a vibrant and prosperous community. Located near I-95, Port Orange offers 150 distinct neighborhoods offering a small-town ambiance and an excellent quality of life. Homebuyers can choose from modest bungalows, three-bedroom homes up to and including magnificent estate homes. I-95 provides easy access to commuters who work in nearby cities and choose to make their home in Port Orange. 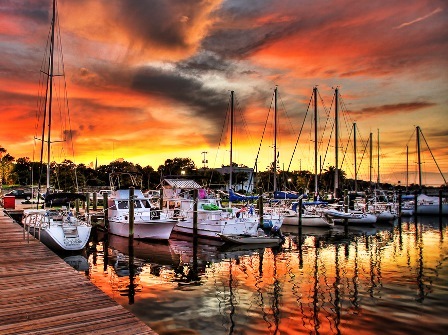 Residents enjoy naturally beautiful surroundings with the scenic Halifax River and water sports, fishing, boating and surfing in the Atlantic Ocean. Port Orange residents have easy access to artsy Ormond Beach, popular Daytona International Speedway, and the theme parks, restaurants and shopping of Orlando are accessible via nearby I-4. First time homebuyers and snowbirds looking for a carefree lifestyle can choose a Port Orange home with onsite amenities like swimming pools and a club lounge. There are pool homes available priced from an affordable $200K to over $1million. Gated communities like Waters Edge offer homes ranging from 1,500 square feet to huge estate-style mansions. For upscale homebuyers with a private plane, the Spruce Creek Fly-In community offers taxiway homes. Trust SRN Real Estate Pros to find the perfect Port Orange home for you. Our knowledgeable real estate professionals will show you the best the area has to offer. Please contact us at 386.931.4683 and let us assist you with all your real estate needs. Living The Daytona Beach Dream! There is no greater place to experience that southern hospitality and lifestyle than in Daytona Beach Florida. The city offers its residents a quality lifestyle not often seen in an Oceanside community. Making Daytona Beach your new home is a decision that you will always love you made. You have a choice of living in a condo, beachside homes, gated golf communities. Daytona Beach real estate offers so many housing choices in all price ranges, sizes and styles. With 23 miles of white sandy beaches and excellent sunny weather all through the year, it is not surprising that Daytona Beach is a retirement, relocation and vacation hotspot all wrapped into one! Of course, that doesn’t mean you won’t have all the privacy and peace when you choose to purchase real estate in Daytona Beach. The city exudes a small-town charm while still providing all the services that rival many large cities. Also, there are plenty of recreational activities to look forward to. Golfers enjoy their time on state of the art golf courses while the Atlantic Ocean and the Halifax River offer great opportunities for boating, fishing and many other water sports and the automobile enthusiast has the events held at the Daytona Beach International Speedway. Finding your dream home isn’t a difficult task if you choose the right Realtor. At SRN Real Estate Pros, we pride ourselves in providing unparalleled customer service. Give us a call at 386.931.4683 and we will be honored to serve you in your next real estate transaction. Breakaway Trails is an upscale gated community located in Ormond Beach, Florida. This community features 24/7 gated security, large estate style lots and estate type homes in a variety of sizes, designs and price ranges. Some of the community amenities are; community pool, clubhouse, playgrounds and nature trails. Whether you are a family, retiree or a professional, Breakaway Trails may be the perfect home for you. Just moments from I-95, minutes to Daytona Beach and the Atlantic Beaches, 1 hour to Orlando and 1.5 Hours to Jacksonville makes Breakaway Trails the center of everything happening on the “Fun Coast” of Florida. 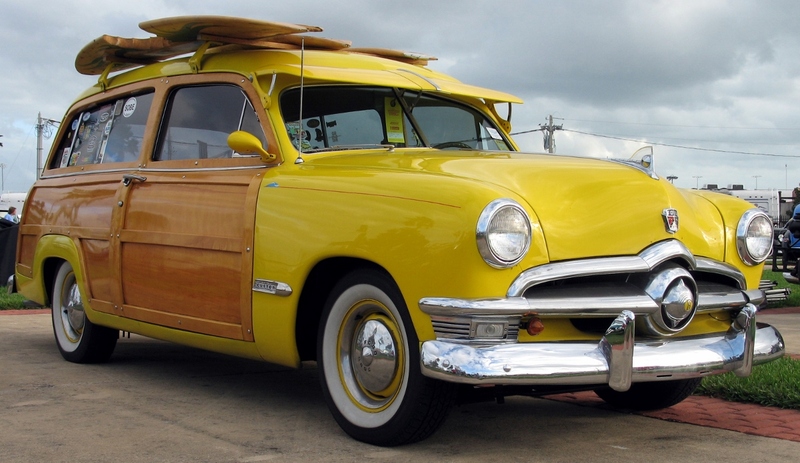 Some of the surrounding towns are; Holly Hill, Ormond-by-the-Sea, Palm Coast and Flagler Beach to the north. Shopping, dining and first-class entertainment is but a moments’ drive from Breakaway Trails. Breakaway Trails boasts almost 1,000 residences surrounded by environmentally protected nature preserves with prices ranging from the $200’s to over $1 million depending on location, size and style. If you are looking for an upscale lifestyle in an estate style community, Breakaway Trails should be at the top of your list! Below is a list of condo buildings located in Daytona Beach Shores, FL. each link shows the available condos for sale in each building. Enjoy! Popular Daytona Beach draws a wide range of residents who appreciate a variety of housing options, from carefree condos to grand estate-style homes. Whether your budget is around $100K or if you are looking for a magnificent mansion right on the river for over $1 million, Daytona Beach has it all. This bustling city stretches for 23 miles along the beautiful beaches of the Atlantic Ocean. Residents love the casual Florida lifestyle along with exciting area amenities the town is known for. Watch NASCAR races at the famous Daytona International Speedway, visit the amusements on the boardwalk and pier or spend the day at the beach or on the water. You can experience the arts at the Daytona Playhouse and the Peabody Auditorium, where well-known celebrities come to perform. Choose from a selection of luxurious waterfront condos with panoramic ocean views and wonderful amenities. Many condo communities offer direct beach access, nicely equipped fitness centers, indoor and outdoor swimming pools and hot tubs and saunas. Take advantage of the clubhouse to entertain friends and meet new neighbors. In Daytona Beach you will find carefree condo buildings with concierge service, wrap-around balconies, granite and marble finishes in kitchens and baths, and high end imported cabinetry. Condos range from around $100K to over $750K. Homebuyers and investors looking for a single-family home in Daytona Beach will find a wide variety to choose from. Select a new home with modern amenities like an open layout, a breakfast bar, indirect lighting and a center island in the kitchen, or choose an updated resale in a prime location. Single-family Daytona Beach homes can be found in gated golf course communities featuring large living spaces, private swimming pools, home offices and large lots, Others are located near the marina for easy boating access. Single-family homes range from $200K to over $500K. Live in the lap of luxury in Daytona Beach with a lavish estate-style home. Many high-end mansions are located on the scenic Halifax River and offer water views. Choose a sumptuous home with Mediterranean accents and an Old World charm, offering beamed ceilings, cozy alcoves and lush tropical landscaping. Or choose a Georgian style mansion right on the water with a screened-in Florida room, gorgeous wood flooring and an entertainment-sized formal living room with a marble fireplace. Other homes have a more contemporary sensibility, with gleaming stainless steel, light wood flooring and sweeping open spaces. High-end luxury Daytona Beach homes range from $750K to well over $1 million. SRN Real Estate Pros can assist you in finding Daytona Beach real estate that fits your lifestyle. Count on our team of highly trained real estate professionals to help you find the right property and guide you through the purchasing process. Please contact us at 386-931-4683 and allow us to help you with your real estate needs. New Smyrna Beach in Volusia County Florida is well known for its condo communities that dot along the Atlantic Ocean and the Intracoastal Waterway. This beach town offers investors, full time residents and retirees a choice of condos from around $200K to well over a million, many with ocean and river views. If you are looking for a vacation, investment or retirement home, you should consider a condo in New Smyrna Beach. They are perfect for those who wish to lock and leave whenever they desire and still return to a well-maintained home. New Smyrna Beach is the second oldest city in Florida after St. Augustine and is renowned for its art galleries, a world-famous artists’ colony and the Atlantic Center for the Arts. In addition, most condo communities offer a host of facilities and amenities which may include access to golf, fitness centers, heated pools, saunas, private boat ramps and 24/7 security! Many Condo Buildings and Locations To Choose From! Many condo units on the market offer spacious floor plans with large balconies that allow you to enjoy the best views of the ocean, river or many times both. While you may have a wide variety of New Smyrna Beach condos for sale, it is important to note that most of the great deals are scooped up quickly by savvy buyers. New Smyrna Beach condos are some of the hottest selling properties in Volusia County and not without good reason. So, all you need to do is get in touch with us at SRN Real Estate Pros at 386-931-4683 and let us shortlist some of the finest condos to suit your budget and lifestyle! If you are looking for an amenity rich country club community in the Daytona Beach Florida area, look no further than the upscale Plantation Bay Golf & Country Club in nearby Ormond Beach. Buyers looking for the carefree Florida lifestyle will find it all when they purchase Plantation Bay Golf and Country real estate, whether it is an easy living condo, elegant townhome or spectacular single-family home. 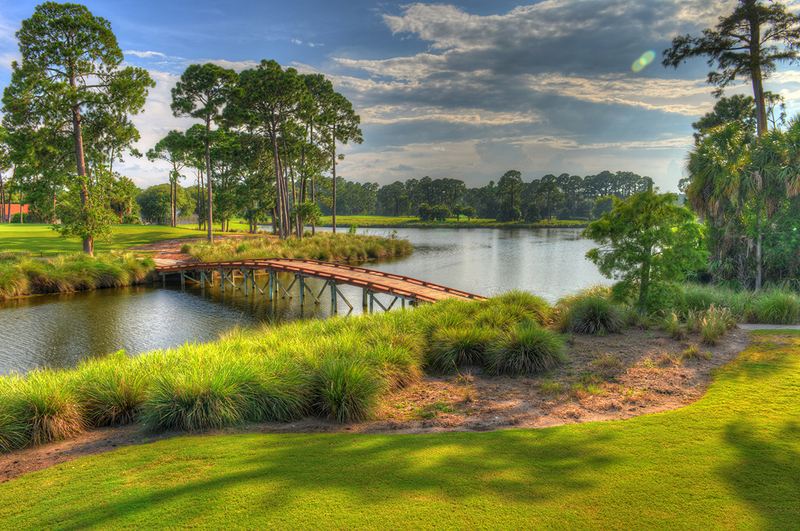 Plantation Bay in Ormond Beach provides an active social life and fun-filled days of activities. Three scenic golf courses are surrounded by the lush natural beauty found of the area. Enjoy social events at two clubhouses, lighted tennis courts and a fitness center and spa. The pool pavilion is a gathering place to meet neighbors and new friends. Choose a housing style designed to meet your needs, and enjoy features like high ceilings, personal master bedroom suites and over-sized gourmet kitchens. Features like crown molding, outdoor lanais and granite countertops are just some of the amenities you will find. Count on SRN Real Estate Pros to assist you in finding the perfect Plantation Bay home. SRN Real Estate Pros specializes in Plantation Bay and has assisted dozens of buyers and sellers in Plantation Bay in both new homes and resales. Please contact us at 386-931-4683 and let us help you with all your real estate needs. Oceans Three Condos on Florida’s scenic east coast is part of the popular Oceans condominium complex in beautiful Daytona Beach Shores. This 21-story building offers affordable residences right on the Atlantic Ocean with spectacular ocean views. Units on the upper floors offer views of the Halifax River as well. The building features 120 two-bedroom, two-bath condos that are ideal for vacation home, as a retiree residence or for an investment property. Residents at Oceans Three Condos enjoy a host of amenities within walking distance at the Publix shopping center right across the street. Prices starting from around $170K, considered remarkably affordable for an oceanfront home. Enjoy spacious floor plans with fully-equipped kitchens, dining rooms, and private balconies off the master bedroom. You will have convenient underground parking. Daytona Beach Shores is situated on a barrier island with the Atlantic Ocean on one side and the Intracoastal, or Halifax River, on the other. The town has a laid-back resort atmosphere and it is conveniently located near a wealth of recreational opportunities. Golfers will find scenic courses nearby, and boating enthusiasts can enjoy sailing charters and boating on the ocean. Families will enjoy entertainment like miniature golf nearby. The largest park in the city, McElroy Park, offers tennis courts, a baseball field and basketball. Picnic areas and a beautiful beachfront walkway are available at Frank Rendon Park, and observation decks, dune walkovers and a playground are found at Fornari Park. And of course, gorgeous white sandy beaches are the main attraction. Vacationers who love New Smyrna Beach, FL, are now opting to buy a weekend getaway condo or waterfront home. This wonderful beach town stands out from all the rest because of the wide choice of price ranges available for residential real estate, along with the recreational amenities in the area. New Smyrna Beach is set in an excellent location between the Atlantic Ocean, the lagoon and the Intracoastal Waterway, with exciting Daytona Beach just to the north. If you are thinking about buying a get-away in New Smyrna Beach, you will have a lot to choose from. The beachside town offers everything from affordable starter homes and carefree condos to high end, multimillion dollar oceanfront estates. Vacationers and snowbirds can find condo units from under $400K, some in the $100K range. The more luxurious condo buildings offer heated swimming pools overlooking the beach with ocean access, a clubhouse, multiple bedrooms and baths and split bedroom layouts. The main attraction of New Smyrna Beach is the glorious 13 mile stretch of white sand consistently voted one of the best beaches in Florida. Anglers will enjoy fishing in Mosquito Lagoon and deep-sea charters leaving the beach daily. The nearby Canaveral National Seashore is great for bird watching, swimming and hiking. As one of America’s top small cities for the arts, New Smyrna offers an artist-in-residence educational facility, several theaters and art shows throughout the year. A quaint shopping area with relaxing cafes are found on Flagler Avenue and Canal Streets in town. Tell us your real estate preferences and we will assist you in finding the perfect New Smyrna Beach home that fits your budget. You can contact us at 386-931-4683.